Apt. 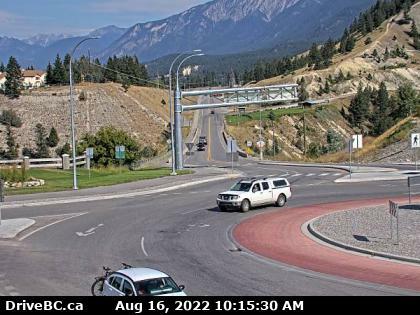 #8 1008 8th Avenue Invermere, B.C. The Columbia Valley Pioneer, fiercely dedicated to covering the Columbia Valley. The Columbia Valley Pioneer is a free, weekly newspaper serving the communities of Canal Flats, Fairmont Hot Springs, Windermere, Invermere, Radium Hot Springs, Edgewater, Brisco, and Spillimacheen. The Columbia Valley Pioneer is fiercely dedicated to covering the Columbia Valley. The pages of this community newspaper reflects the diverse range of activities, events, and attitudes found in the Valley; you will find photos, sports, politics, entertainment, profiles, upcoming events and much more. Businesses find a positive market through the pages of the Columbia Valley Pioneer; for the best deals, latest details and upcoming events at local businesses, be sure to pick up each Thursday’s print edition. 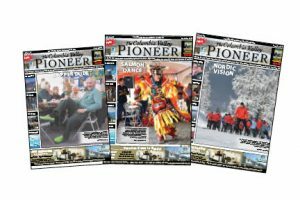 Online, you will find the Columbia Valley Pioneer is tied into a vast network of newspapers, providing in-depth coverage across the province as well as national and international news, videos, breaking news and so much more. The news cycle shifts fast, and so does our website. The Columbia Valley Pioneer team also produce a sleight of stunning magazines: check out www.columbiavalleymagazines.com for online versions of our publications, including Columbia Valley Weddings, Columbia Valley Homes, Let’s Eat, Columbia Valley Map Book, UnWind, Vitality, The Valley Beat, Radium Mag, and Columbia Valley Real Estate. Through the last 14 years, The Columbia Valley Pioneer has stayed true to its roots and continues to be the voice of the Valley, with a mandate to support and celebrate. Pick up your copy this Thursday at a newstand near you!